Marc by Marc Jacobs’ resort 2015 look book brings decades of fashion into the now. This collection mixes subtle styles from multiple different eras: ascots and color blends reminiscent of the ’70s, dapper rugby looks for a ’50s throwback, and outerwear that’s right in line with the now. The collection is filled with everything from funky bicycle prints to cool stripes and plaids. 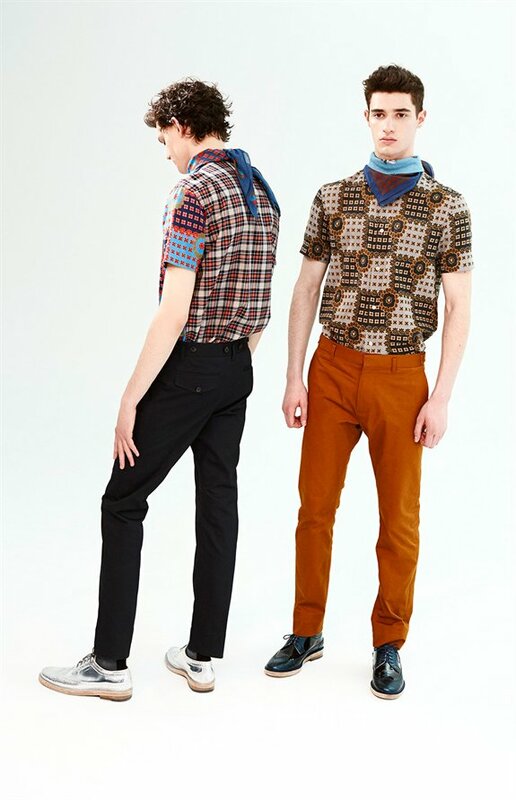 The styling, of course, is typical Marc Jacobs–short, slim pants paired with super-skinny V-neck sweaters and some seriously slick shoes and accessories.